​Dine Out Connecticut is a signature event hosted exclusively by the Connecticut Restaurant Association to showcase and celebrate restaurants across the state. All members of the Connecticut Restaurant Association are invited to participate. ​​Funds raised during Dine Out week help to support the Connecticut Hospitality Education Foundation, a 501(c)(3) foundation dedicated to the development of future restaurant industry leaders through educational scholarships and programs like ProStart, a two year culinary and management program for high school students. 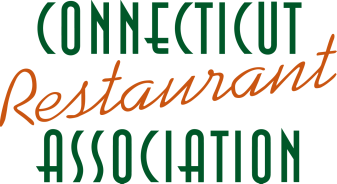 All active members of the Connecticut Restaurant Association are invited to participate. If you are not yet a member of the CRA, please click the Join and Register button below to complete your membership application. Link to your Dine Out Week menu on CRA website. Promotion of Dine Out Week by the CRA. CRA Press release about Dine Out Week to benefit CHEF. Branded event poster for window display. Social media shout out between Feb 18 and March 1. Restaurant name listed on banner at ProStart Invitational Event on March 1 at Gateway Community College in New Haven. Restaurant name listed in post event press release. Feeling of pride knowing your contribution is helping to support the development of next generation restaurant industry leaders. ​ Sign up by Feb 11 and receive these additional benefits! All participants must be active members of the Connecticut Restaurant Association. Not a member? Click HERE. Participating restaurants may create a menu and pricing of their choice. Focus should be on creating a dining experience that showcases the restaurant's cuisine while generating value and excitement for consumers to Dine Out. Restaurants must register by Feb 24. Additional early bird incentives for any restaurants who register by Feb 11. Participating restaurants should email link to event menu to tavares@ctrestaurant.org on or before Feb 18. Event registration fee is a voluntary donation to benefit the Connecticut Hospitality Education Foundation, a 501(c)(3) foundation dedicated to the development of future restaurant industry leaders through educational scholarships and programs like ProStart, a two year culinary and management program for high school students. Recommended minimum donation is $100. For restaurant groups with multiple locations, please consider an additional $50 for each participating location. Participants may choose to make a tax deductible donation with registration or may opt to raise funds to reach donation commitment.